Dare Britannia, Ltd. is perhaps the oldest and most-experienced restorer of vintage Land-Rovers in North America. The owner of this company has been repairing, servicing, buying, selling, driving and restoring what are sometimes referred to as “Series Land-Rovers” since the late 1960s. 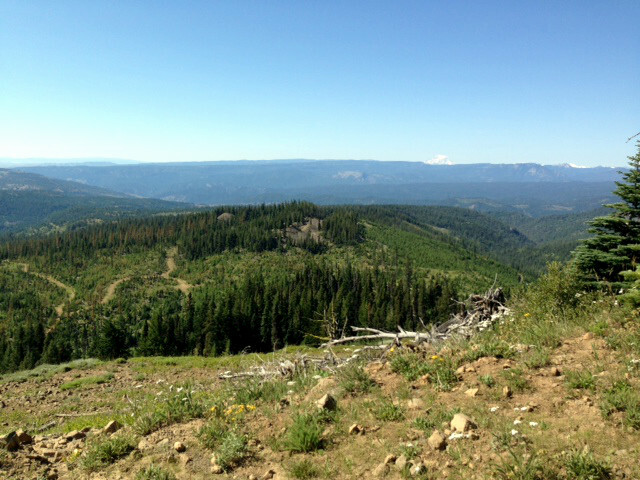 Our inventory of spare parts virtually fills five buildings at our West Coast location alone. Our inventory of parts is warehoused on both coasts of the United States, while a considerable stock is also held in London, England. We are the indefatigable champions of restorations done with steadfast dedication to faithfulness, exacting precision and insistence on correctness and originality. Our “competitors” are evidently comfortable with using reproduction parts sourced from China, India and other countries with a track record for supplying parts of distinctly dubious caliber. 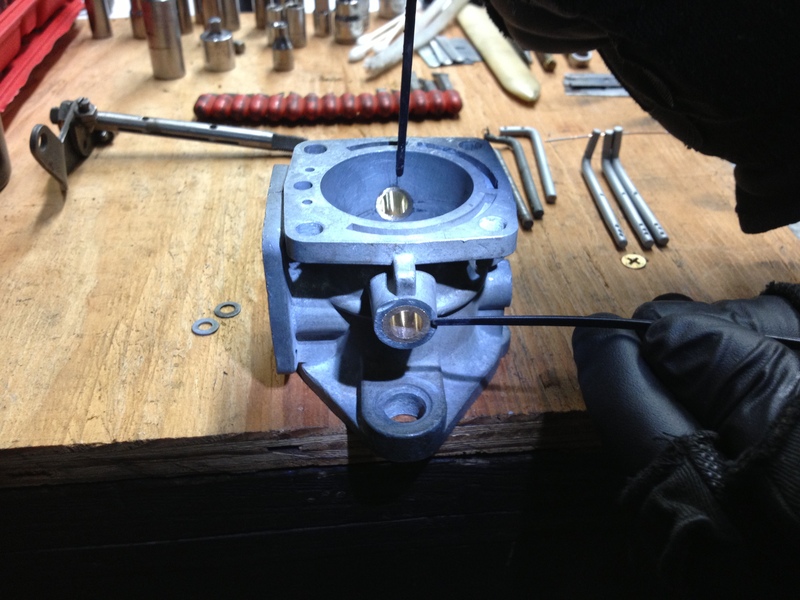 We have, on rare occasion, trial-purchased spare parts from a very few of our parts-supplier competitors, only to discover a litany of items poorly manufactured which don’t fit, function sub-optimally, look wrong or are otherwise not of a caliber equal to the rigors of an exacting, top-quality restoration. In our restorations we insist on what we term “Birmingham Lucas”, or spare electrical components manufactured , back in the day, at the Joseph Lucas factory in Birmingham, England. That company, Joseph Lucas, Ltd., is now functionally inoperative but the name and manufacturing rights have been bought up by offshore manufacturers of dubious-quality reproduction parts. This offers a prime opportunity to clarify what I consider a longstanding myth: that Lucas parts are manufactured to a low build standard. While Lucas jokes have decades since been worn out, their quality, among the cognoscenti, is now keenly sought after as being the holy grail from a quality standpoint…..and with good reason. They stand shoulder to shoulder among the top-quality name brands in the automotive industry. Lucas equipment may not be flawless but neither is any other manufacturer. They are, in my professional opinion, right in there with the best. Our competitors describe hundreds upon hundreds of parts as “no-longer-available” which have been in our warehouse for decades, which parts we remain able to supply directly from our shelves, for our in-house restorations. Even some of the British Land-Rover stalwarts, suppliers of spare parts “over there”, have come to us seeking the rarest of the rare. Let me offer an example of the parts we insist on: New Lucas distributors ceased being manufactured several years ago and Chinese knockoffs began flooding the market. Unfamiliar with the actual state of things, we ordered in a two sample batches of these distributors and put them to the test. Our suppliers claimed less than a 2% comeback rate, that their customers “just loved them!” We didn’t. We don’t simply install distributors, we test them on one of our distributor testing machines before installing them……..and when we did, we were appalled. The situation is best illustrated by saying that after four hours of tweaking, cajoling, and modifying the very first distributor, our very finest technician was barely able to make one of these Chinese knockoffs function……reasonably well. Not properly. Passably. That would call for approximately $375.00 of a fine technician’s best efforts. We immediately sent the remainder of the distributors back to the warehouse and haven’t considered buying another in four years. Today we insist on new Genuine Lucas, and we test each and every one, right out of the box, to be absolutely assured of optimal function. Not every one is perfect and if they are found wanting we massage them until they function optimally. Our competitors all around the country seem to love aftermarket upholstery materials and products. We don’t find a seat that lasts a few months (some not even that long!) acceptable. Instead we fit restored factory seats in all our restorations…….and follow them for years afterwards to be absolutely certain of their integrity. They hold up for a very long time. When a restoration client’s Land-Rover was built in the years from approximately 1958 through 1964 we restore their original seat cushions with original factory “Elephant hide” material. Not a knockoff. Not a copy. Not a reproduction. THE ORIGINAL FACTORY material……..period. Our competitor’s (aftermarket) door trim panels screw on. The factory items featured spring clips. Our door trim panels utilize original factory spring clips and are virtually indistinguishable from factory. Our competitors use knockoff fuel pumps. We supply new-old stock (n.o.s.) the Genuine Land-Rover, Genuine AC fuel pump. Our competitors use knockoff Chinese hydraulic brake master cylinders. We supply new-old stock (n.o.s.) Genuine Land-Rover, Genuine Girling. Taken right from our own parts shelves. Consider steering boxes. We keep on our shelves n.o.s. (New old stock) Genuine Land-Rover, original equipment Burman steering boxes………and also the inner column sets….parts not offered by any other supplier in America. Our competitors use knockoff Chinese or East Indian water pumps. We supply new-old stock (n.o.s.) Genuine Land-Rover water pumps. Taken from our own parts shelves. If we don’t stock a given part we make it. If we don’t have the tools to make it we make the tools necessary to make it. 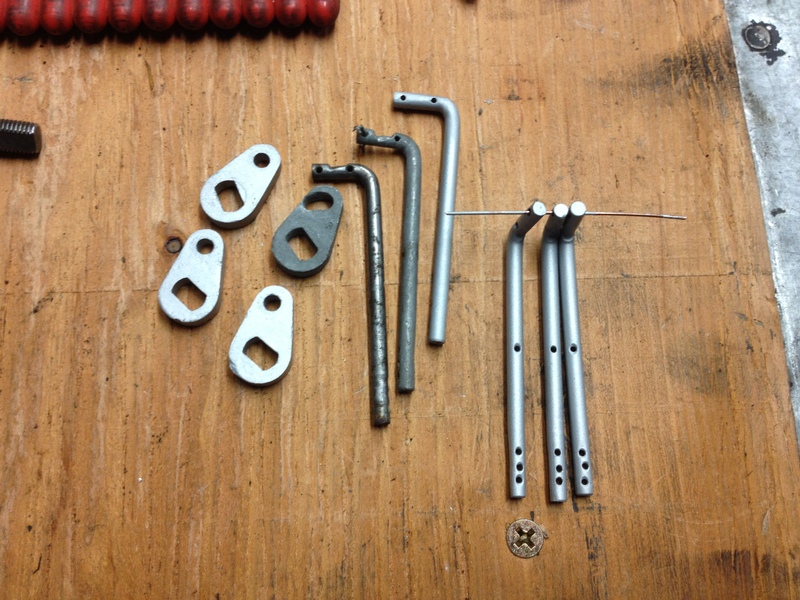 We are very fortunate to have an in-house tool maker and fabricator. We remanufacture a great percentage of the parts we fit to our restorations and we manufacture and supply components never offered by the Land-Rover factory itself. 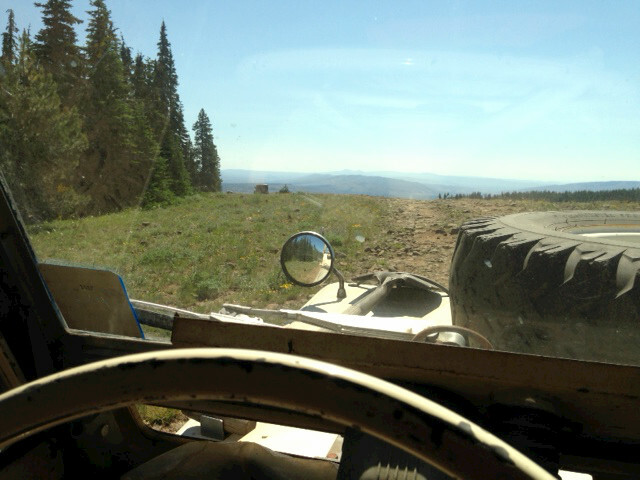 Land-Rovers were never designed for speed, and rightfully so. 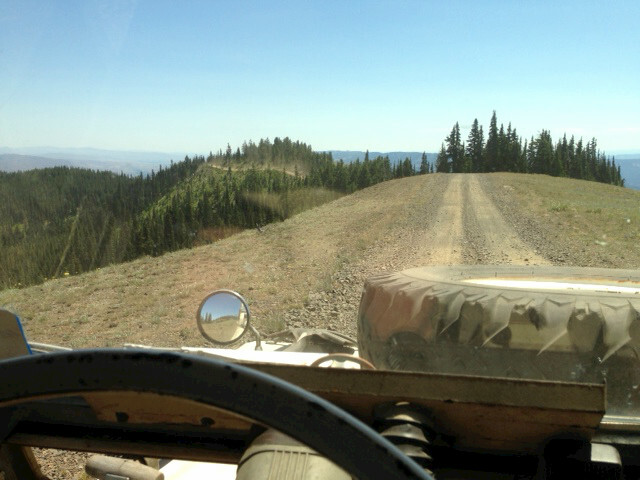 A multi-purpose adjunct agricultural vehicle shouldn’t be engineered for speed, but since working under the guidance of Doug Fraser at Doug Fraser Racing Engines (winner of approximately 10 national championship race engines) in 1974-75 I have been optimizing Land-Rover engine performance. Our Safari Four engines have seen service around America for decades. While not highly modified, these engines produce approximately 30% greater horsepower than the factory-specified engine. No engine is ever modified to the extent that it cannot be returned to the original factory specification. At the same time no client has ever expressed disappointment with a Safari Four engine rebuild. We are the winners of approximately 45 international restoration awards. The only restorations that trump our restorations at the shows are our own clients’ vehicles restored by this shop. Half our restoration awards are first place. Or best of all Rover classes. One British Field Meet created a special award for our work. One of our client restorations was entered in three shows. It won four awards. The fourth was the coveted local Land-Rover Dealer’s Best Rover on the Field prize. Virtually every one of our debuting restorations take first place. When closed our doors go “thud”. Theirs buzz. We were called upon to look at a Land-Rover supplied by one of our East-Coast “competitors.” He claimed the ability to complete a total restoration in 16 weeks. Evidently he talked a good line. 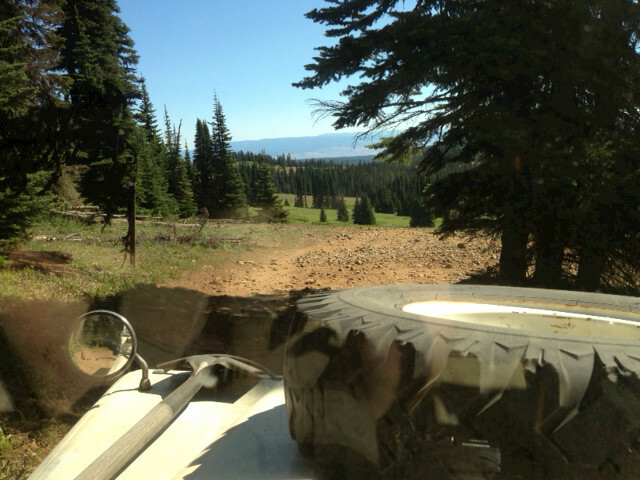 The new owner swallowed the bait but after owning his “restored” Land-Rover but a very few weeks he called in us to look matters over. When I read him our report, he immediately instructed me: “Sell it! !” Later on he changed his mind and softened his position. He directed us to correct the faults….so we replaced the engine, gearbox, the wiring harness, the heater, the radiator……..ALL hydraulic cylinders except the brake master. That was Genuine. He purchased the “restored” Land-Rover for $16,000.00. Cost of correcting the faults: $23,000.00+. This example is but the tip of the iceberg……..an archetype of the hordes of all-but identical examples from our history book. One of these unfortunate men brought two of his Land-Rovers to my shop. That would be about $28,000.00 worth of iron. He put $24,000.00 in our bank account straightening out the majority of the mess. Not all. The majority. His penetrating conclusion: “I would have been better buying from you in the first place.” The trio of new owners tried to save money by buying from “the competition.” I’ll let you draw your own conclusion. So appalling was the caliber of work that photographs of some of the parts have remained on the walls of our office for almost 20 years. 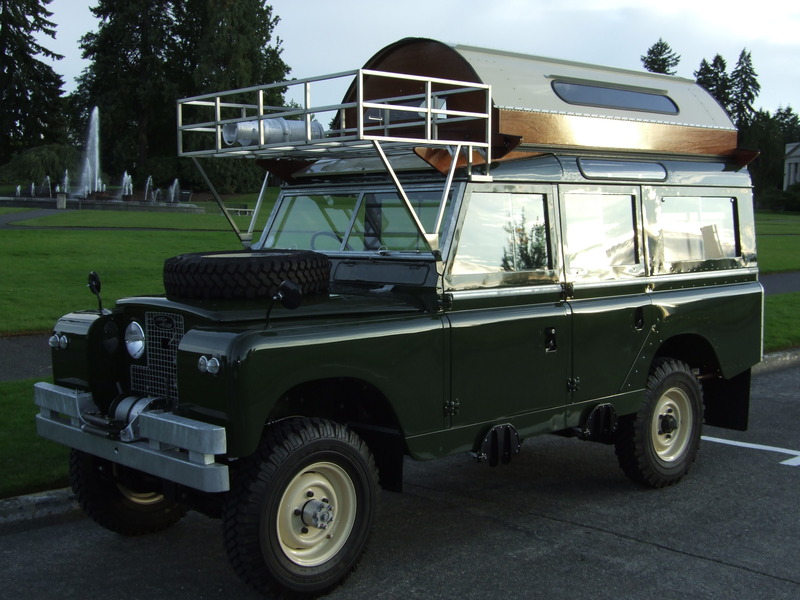 This entry was posted in Uncategorized and tagged dare britannia, land rover, Land Rover Restoration, olympia, Restoration Excellence, Series Land Rover on September 27, 2013 by darebrit1. Here’s the new Dare Britannia company logo! This head has just been finished and has been calculated at approximately 10-to1 compression ratio. It is similar to those we fit to our SAFARI FOUR® engines, which see 95-100 M.P.H. 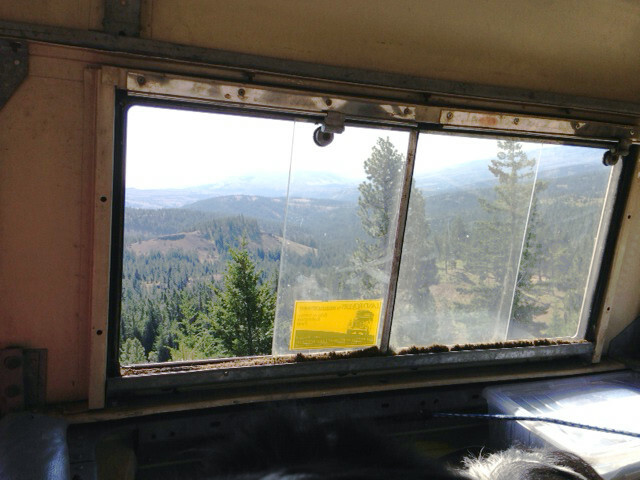 on the flat at sea level in an 88” Station Wagon. All valves, valve seat inserts and valve stem seals are new & fresh. The exhaust valves are auscenitic steel and are thus compatible with unleaded fuels available today. It also has been fitted with induction-hardened seats under the exhaust valves, so seat degradation will not be an issue. The exhaust valves also are fitted with Genuine Land-Rover valve rotators, as fitted to North-American Specification machines, which are now almost impossible to locate. Probably NO OTHER HEAD you purchase today will have these!! 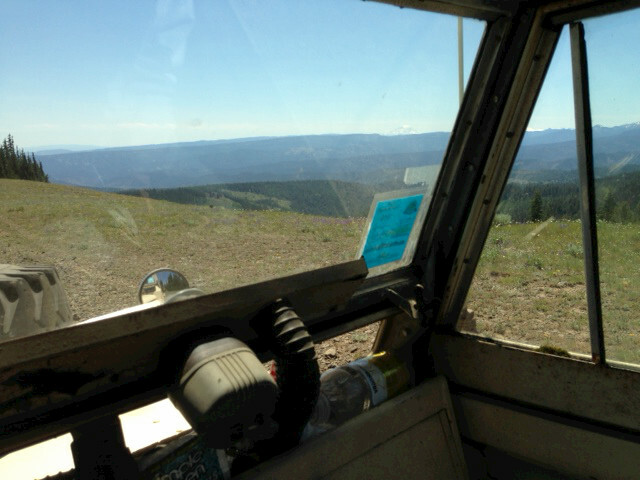 This entry was posted in Uncategorized and tagged 10 to 1 compression, Cylinder Head, dare britannia, land rover, Land Rover Parts, Land Rover Restoration, Olympia WA, Series II, Series IIa, series III on September 11, 2013 by darebrit1. The technicians here at Dare Britannia thought you might be interested in reading what one of our recent customers said about us. This is a review by John P of Ocean Park, WA. It can be seen on our Yelp page, http://www.yelp.com/biz/dare-britannia-ltd-olympia. We have South Puget Sounds only non dealer Land Rover and Range Rover diagnostic software. “My Rover was delivered here by tow truck after a breakdown. 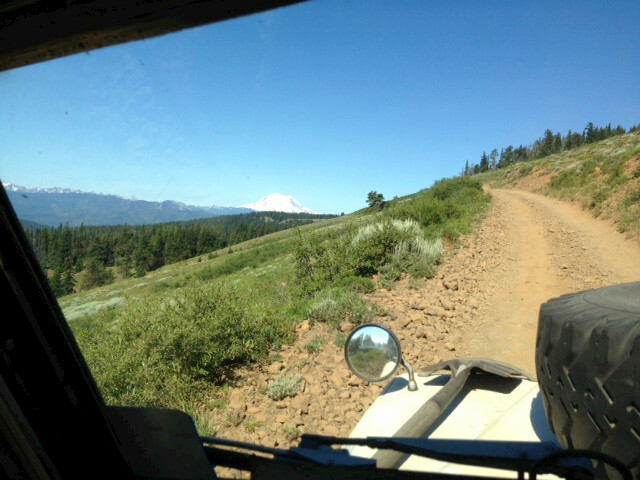 The tow was 30 miles in the direction of home (which is another 2-1/2 hours away — more about driving time in a moment). It was an electrical problem, intermittent and bizarre — but in scant time the electrical specialist isolated the problem to a failing alternator. I got a comprehensive email report on the trouble-shooting steps plus a phone call to explain theory of how a less-than-catastrophic failure in power output could produce such weird symptoms. Also got an after-action report on cold start and warm start testing after new alternator installed. The whole forensic process was superb, matched by direct communication with the technician in charge. To be clear on that, my first phone conversation was with the owner, who conferenced the electrical specialist to introduce who would be responsible for troubleshooting. Work was finished in a bit more than a day at shop rates and parts costs comparable to my local garage (Long Beach peninsula). 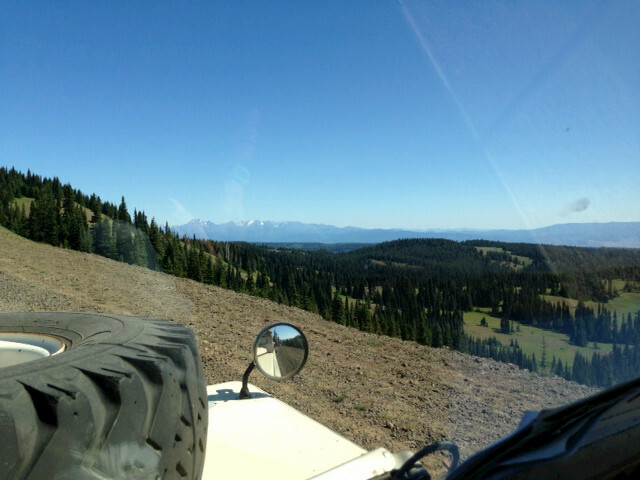 Tremendous service, really — I’ve put 330,000 miles on the rig since new (1997 NAS Defender 90 soft top) and at some dealerships, the service queue is days or weeks to get started. After this first experience at Dare Britannia, I’ve made the 5-hour round trip twice for additional work. The attention to detail is remarkable, and the range of skills to deal with out-of-production parts is top notch. My latest project cost $6,000 and every penny well spent. Despite spanning the Christmas holidays and needing delivery of parts from the UK, the work was done on schedule. And like the first emergency repair job, I got a steady flow of progress reports from the shop floor — emails, two sets of shop photos on newly fabricated fittings, and a tech journal growing to 40 numbered items as the project went forward — the most helpful customer interface I’ve ever had. Hats off to the whole crew here. My Rover’s never had higher quality care”. This entry was posted in Uncategorized and tagged dare britannia, Dare Britannia reviews, land rover, Land Rover Service, olympia, Wordpress, Yelp on July 3, 2013 by darebrit1. 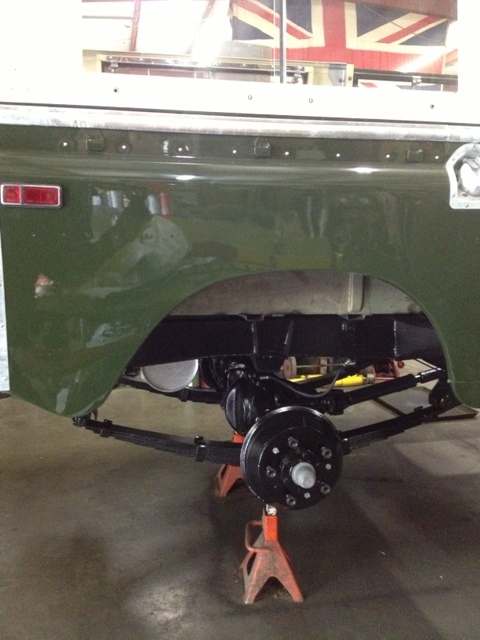 We are currently working on restoring a 1970 Late Series IIa. 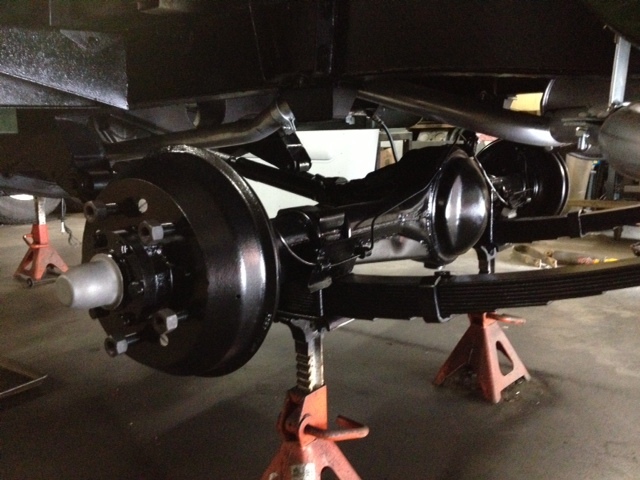 The current project is replacing the axles and wheel hubs. 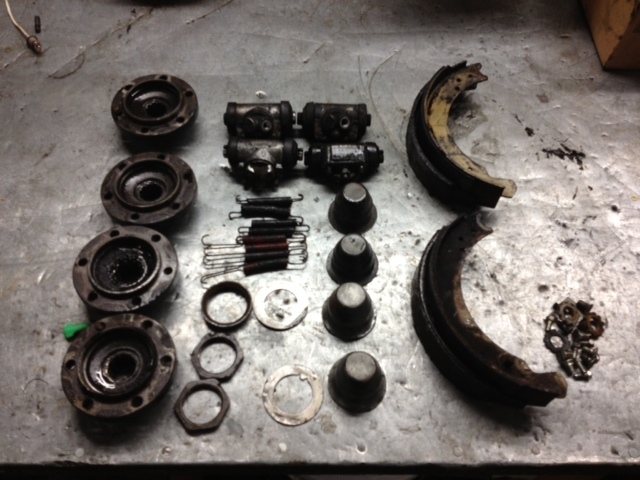 Here’s a photo of a hub and axle that were replaced as well as the hardware. Throughout the process we continued to take photos. Here’s a quick summary of the work completed. 1. 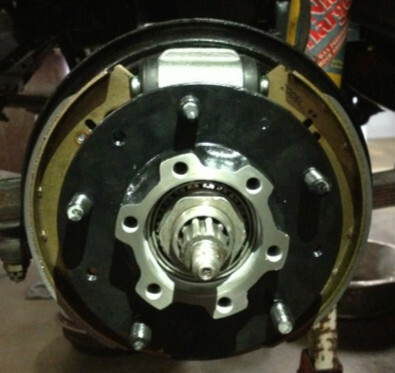 All 4 corners were inspected, a hub seal has leaked 90wt onto the shoes and rear shoes are too thin for our comfort. 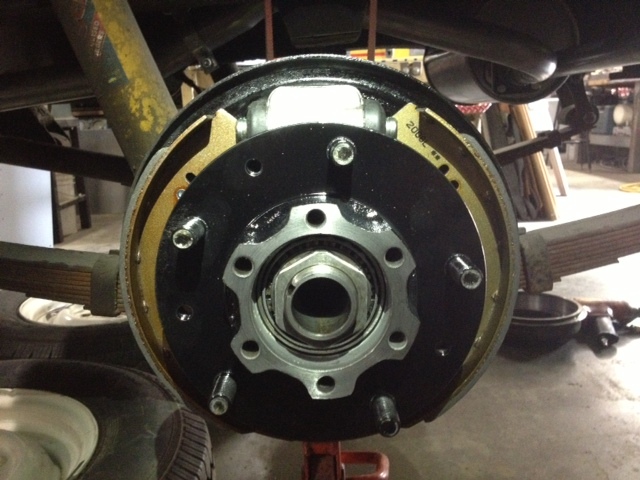 a complete brake job needed with a thorough inspection of all the hardware. 3. 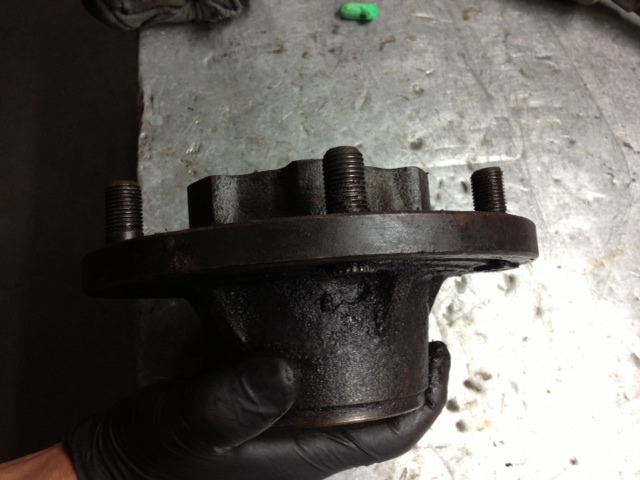 Inspection finds that the hub assemblies will need to be replaced; the right front axle will need to be replaced due to rust at the splined hub end. 4. All the new components were prepped and painted. 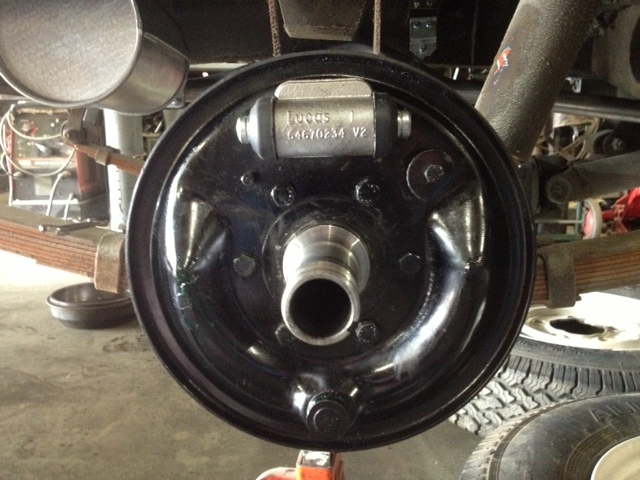 This entry was posted in Currently Under Restoration and tagged 1970, Axle Replacement, dare britannia, land rover, Land Rover Parts, Land Rover Restoration, olympia, Series IIa, Wheel Hub Replacement on July 2, 2013 by darebrit1. 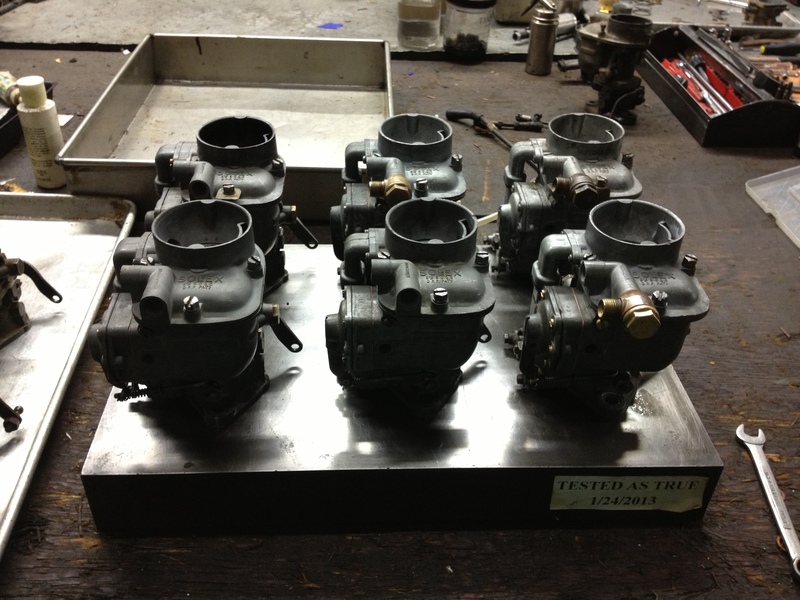 One of our most recent projects is rebuilding a group on Solex Carburetters. Throughout this endeavor we documented the process as well as the final testing. This is the group of carbutetters before the rebuilding process. We started with a group of 6 carbs on a flat machined plate. 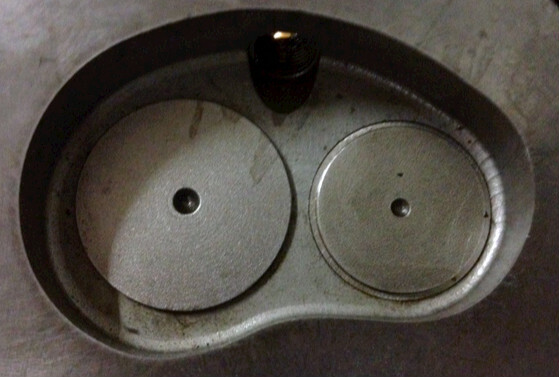 The Base plate is confirmed flat and is used to the test the flatness of the carburetter bodies. 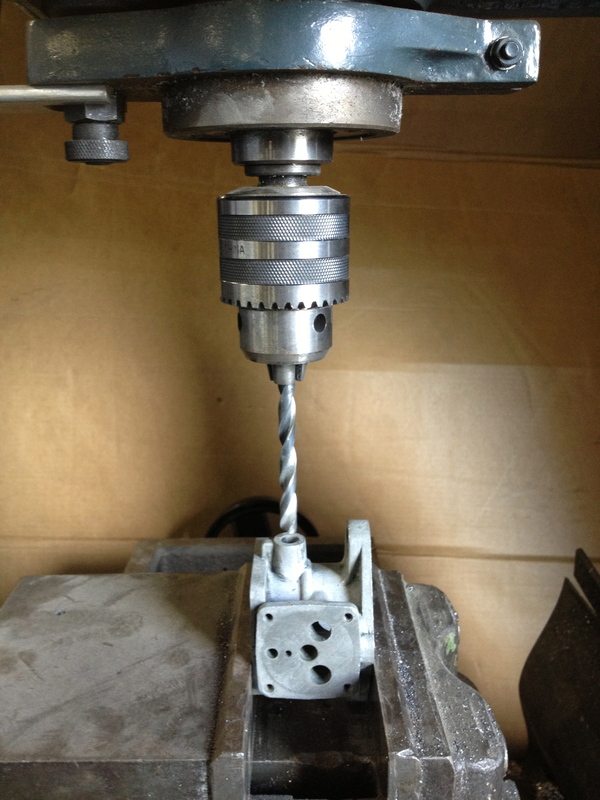 This drill press is used for installation of new bushings. 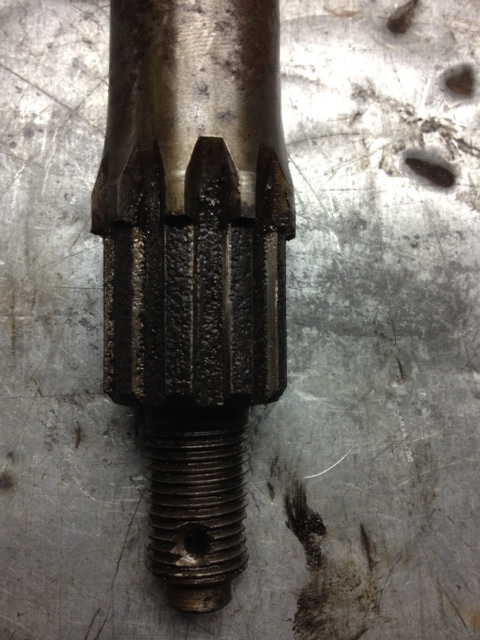 The original Solex bits are in house machined and fabricated. 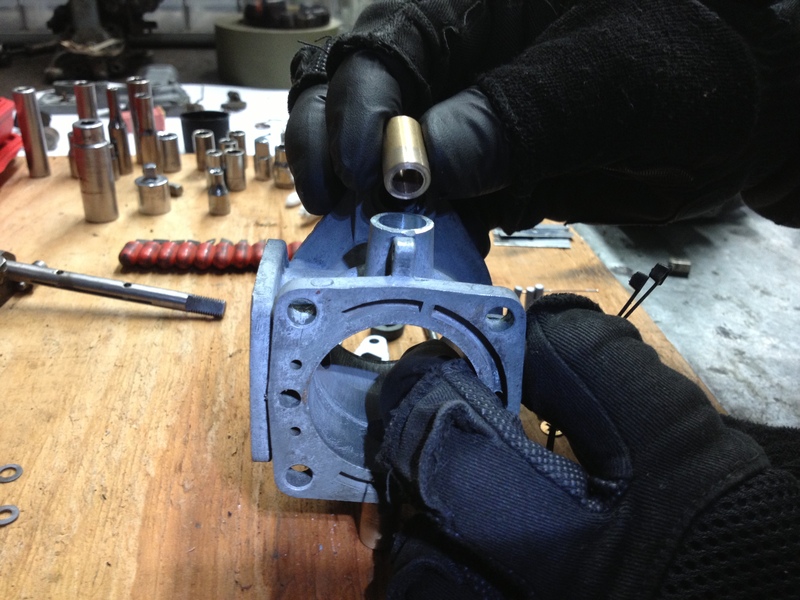 Here’s a photo of the bushings being installed and pointed out. 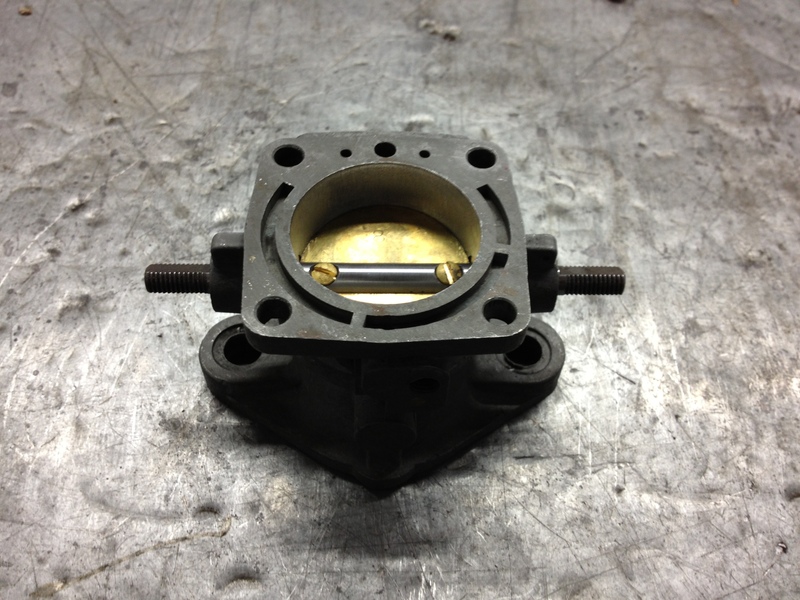 This final photo is a finished throttle body. Before the carburetors are ready for our customers they are thoroughly tested on one of our vehicles. The video below shows some highlights from this process. The testing vehicle is a Series 2, 109, 2 and ¼ engine with compression at 165 all 4 cylinders, recent upgraded house built rocker shaft with valves adjusted. Ignition system is completely OE with a fresh in house rebuilt distributor with a superlative center shaft, fresh points adjusted to a dwell of 40 and timing set at 8 degrees before TDC with a total ignition timing advance of 32 degrees at 2800 RPM. All carbs are put on this vehicle and tested thoroughly consisting of idle quality testing, cruise, WOT(wide open throttle), torque and overall runability. Low idle quality is crucial to maintain and uphold the nostalgic running quality of the 2 and ¼. and each carburetor must climb a hill whilst at idle and without any throttle control of 10 degrees incline and be able to acell smoothly out of idling up the incline. 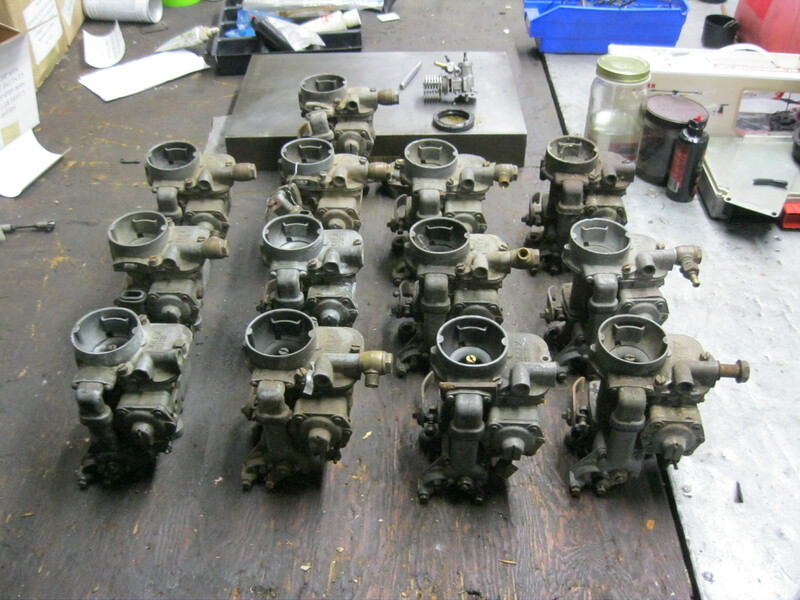 Carburetors available in complete and total rebuilds, new old stock and as used looking but with all jets taken out and cleaned, accelerator fuel pump diaphragm replaced and any worn hardware corrected. We can build high altitude carburetors and jet them according to your specific feet above sea level. 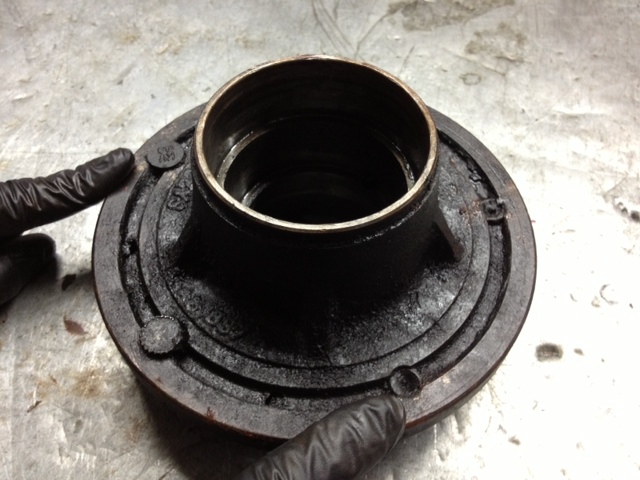 Over fueled engines are the leading cause of blow by and ring failure. This entry was posted in Currently Under Restoration and tagged carburetor, Carburettor Rebuild Service, dare britannia, land rover, olympia, Service, solex, Solex Carurettor, washington on April 30, 2013 by darebrit1.